You’ve never shot anything like the monocoque-designed 2016 PSE Carbon Air®, a revolutionary new breakthrough in bow technology. Engineered with our new PSE True Carbon™Technology, the PSE Carbon Air® is the lightest ultra-performance compound bow on the market at just over 3 lbs. The Carbon Air® is also dead quiet and comfortable in your hand, with PSE’s proprietary Structural, Rigid Acoustic Core (S-RAC) suppressing noise and vibration, as well as acting with the carbon as an insulator against the heat and cold. Never before has so much cutting-edge technology been packed into one bow…a customized PSE HD hybrid cam delivers a smooth draw cycle throughout, while the Center Lock Speed Pocket and patented X-Force™ parallel split limbs give the Carbon Air® the energy to fire arrows at a blazing 340 fps. The Carbon Air® is available in peak weights up to 70 lbs. with an 80% let-off, 6-1/8” brace height, and 32” axle to axle. It also comes standard with PSE’s all-new features; Backstop™ 4, SHOCK MODZ™ Limb Dampers, and factory ships with ABB Platinum Strings and genuine titanium pocket hardware. 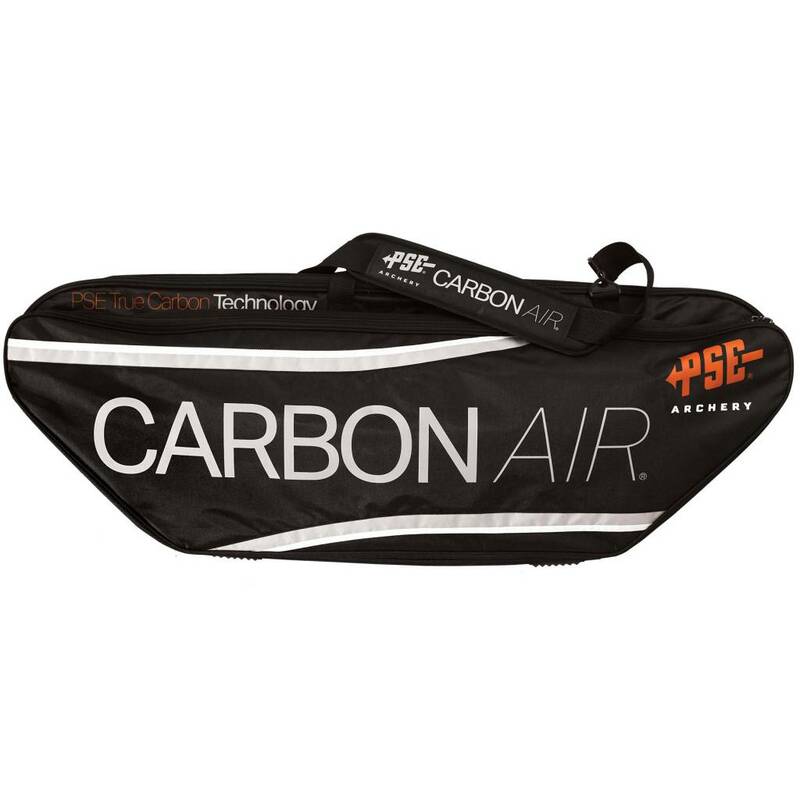 The Carbon Air also includes the exclusive Carbon Air carry case, available only for a limited time. 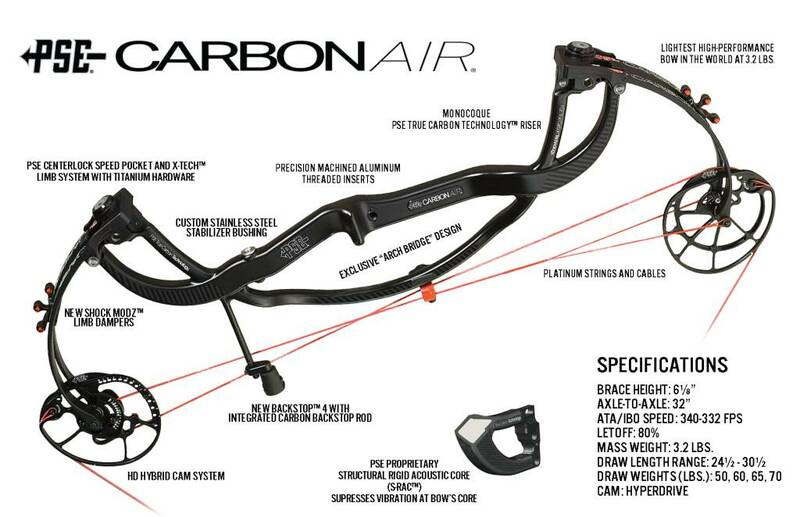 The Carbon Air is not sold online and is available EXCLUSIVELY at your local PSE Dealer. Click here to find a dealer near you! Available in all-Black, Mossy Oak Break-Up Country, Skullworks 2, or black riser with Mossy Oak Break-Up Country limbs.